In order to accommodate the increased traffic flow expected in the area on game days, a detailed traffic plan will be implemented. This year’s traffic plan is the same traffic plan that will be used at all RCHS Varsity Football Events using one entry lane prior to kick off and two exit lanes after the ballgame. Traffic in the area is expected to be heavy on all game days and it is recommended that people traveling to the area plan their trips accordingly. The game day traffic plan will be implemented approximately 1 ½ hours prior to the start of each game after which time normal traffic operations will resume until half time or the end of the 3rd Quarter of the game, when the post-game traffic plan begins. Below are the basic components of the plan. Prior to the start of the game, Eagle Lane traffic will remain normal two way traffic. The Rhea County Sheriff’s Department will operate the intersection of U.S. Hwy. 27 at Eagle Lane approximately one hour and thirty minutes before the start of the game and up to one hour after the game concludes or until parking areas empty. Rhea County Sheriff’s Department officers will staff the intersections before and after the event in the immediate area to help facilitate safe vehicle and pedestrian flow. At the conclusion of the game, Eagle Lane will be closed to through traffic from U.S. Highway 27 & Eagle Lane to Back Valley Road until the traffic volumes exiting the stadium parking lots subside. All U.S. Highway 27 traffic will be routed down to one lane northbound and one lane southbound. 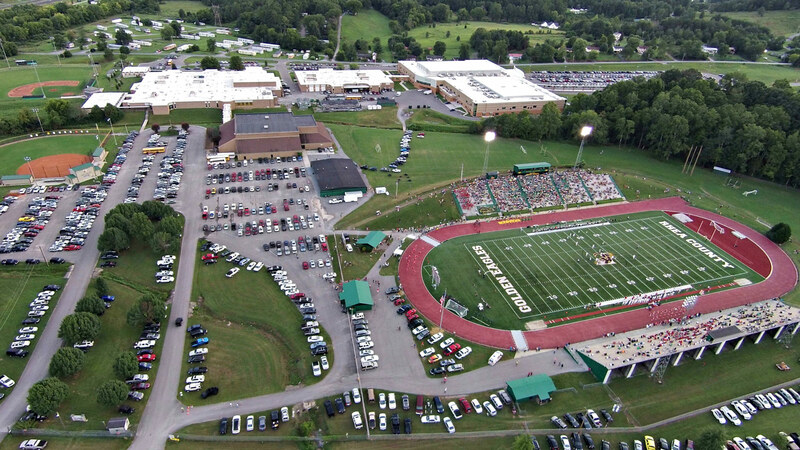 Pedestrians walking or waiting on rides must be picked up from Rhea County High School front entrance following the game. At the conclusion of the game, Eagle Lane becomes exit only to U.S. Highway 27 for approximately one hour or until traffic subsides. Lane and traffic restrictions to help control traffic flow will also be implemented throughout the area. There is absolutely no parking along the shoulder of Eagle Lane. Parking Lots are located at Rhea Middle School, and Rhea County High School. For those driving to the area, it is important to remember to obey all no parking restrictions to avoid being towed.